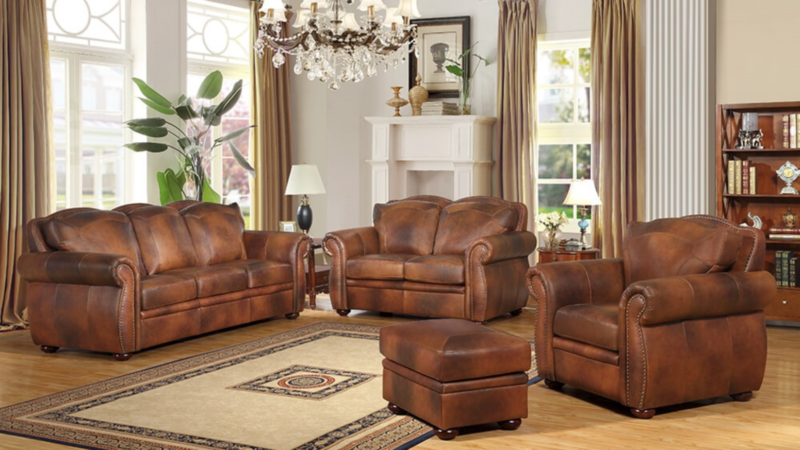 There’s nothing more important to the overall atmosphere of your home than your living room. 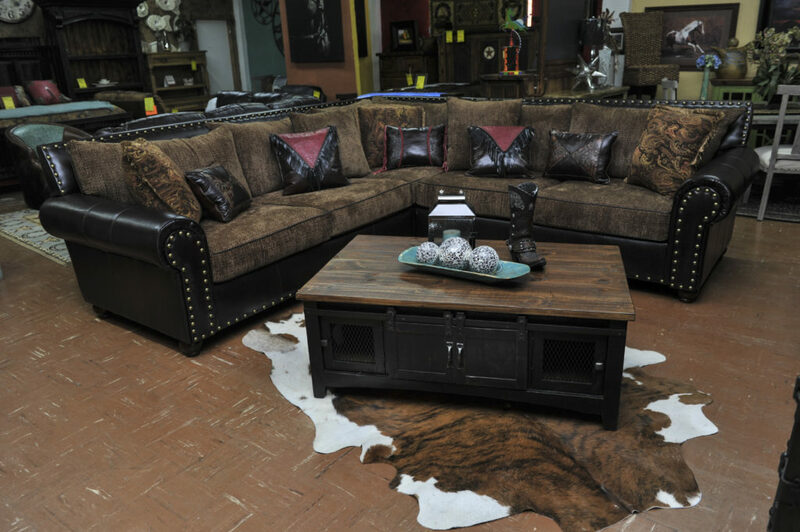 It sets the tone for the rest of your home, and a unique living room set will surely impress friends and visitors. 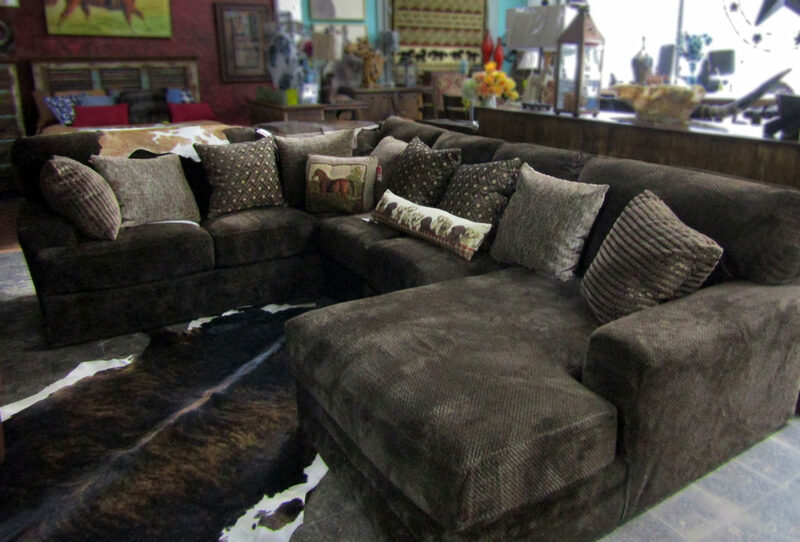 We offer everything from individual pieces of furniture to entire living room sets, and everything in between you will need to complete or complement your space. 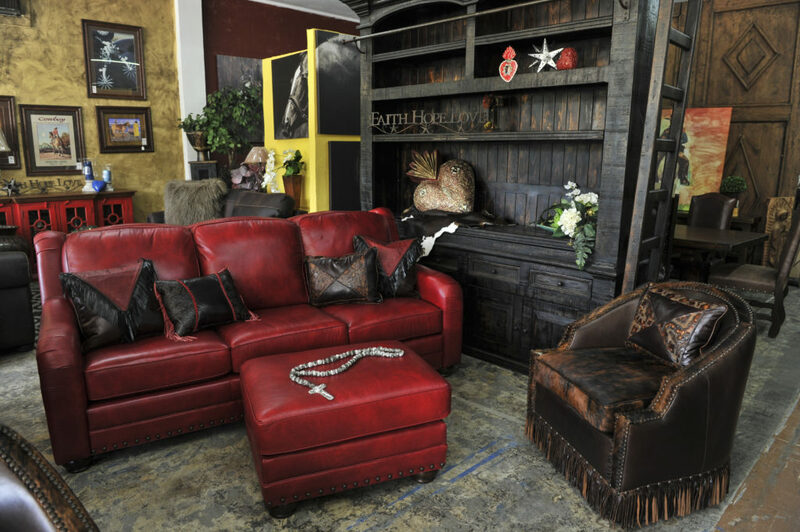 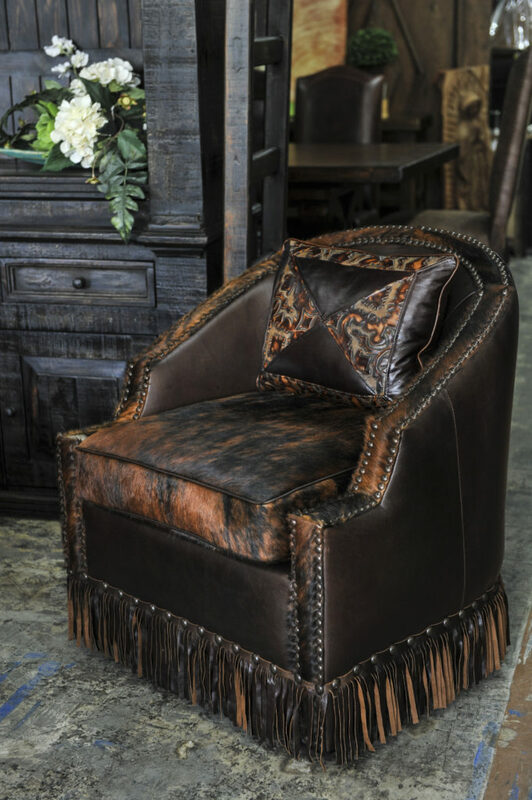 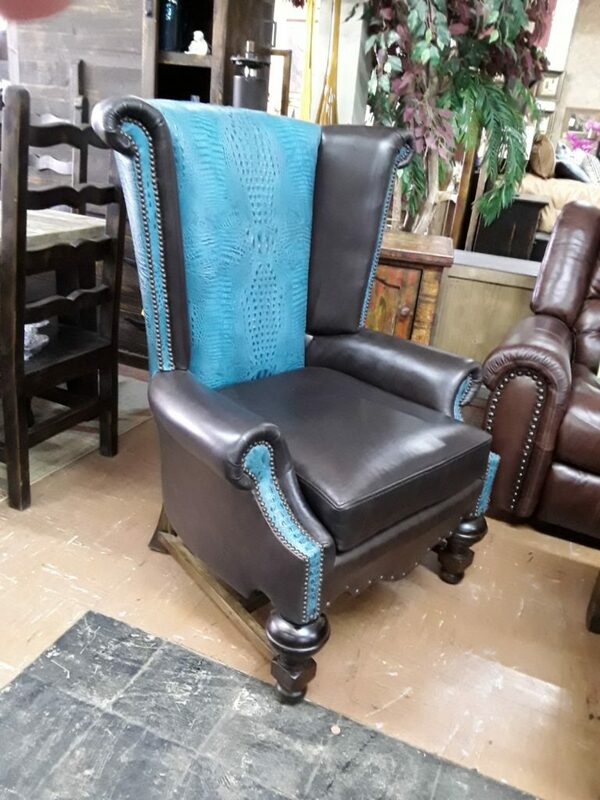 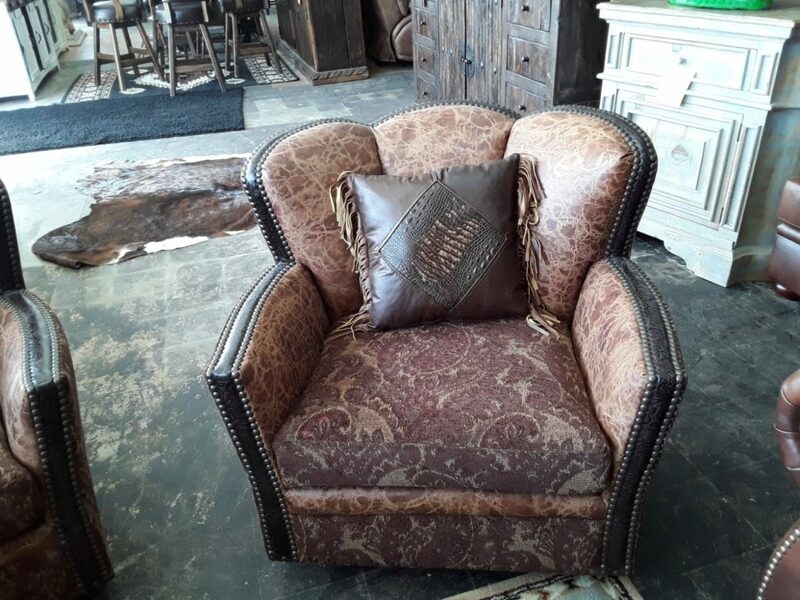 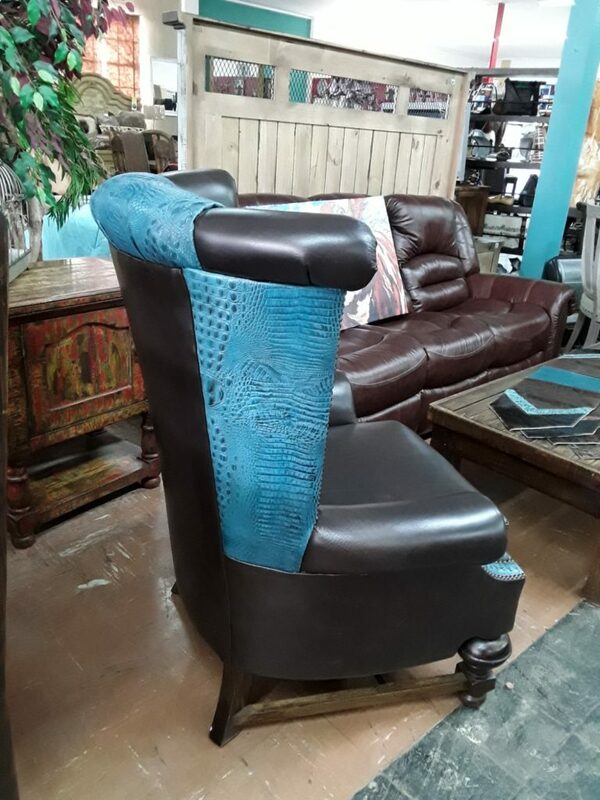 Whether it’s a leather ranch armchair, a distressed wood coffee table, or a gorgeous Western-style entertainment center, we have all your needs covered. 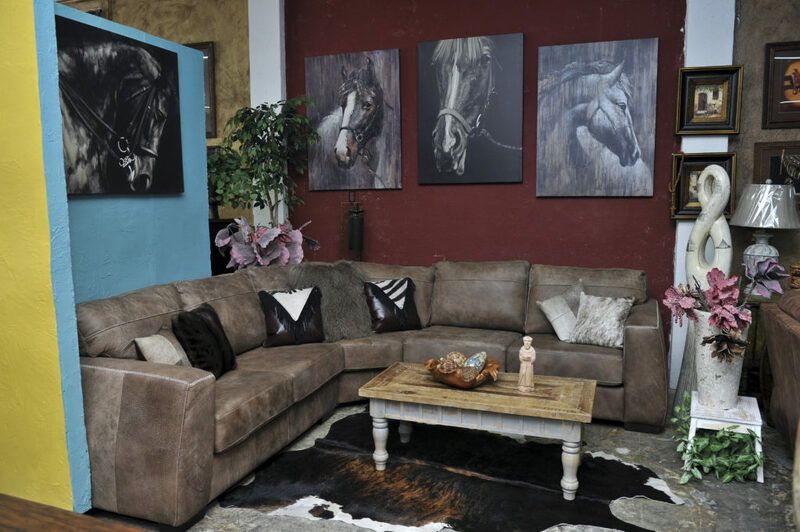 Our trained interior design staff will work with you to ensure that your home will enjoy the maximum impact of our furniture pieces. 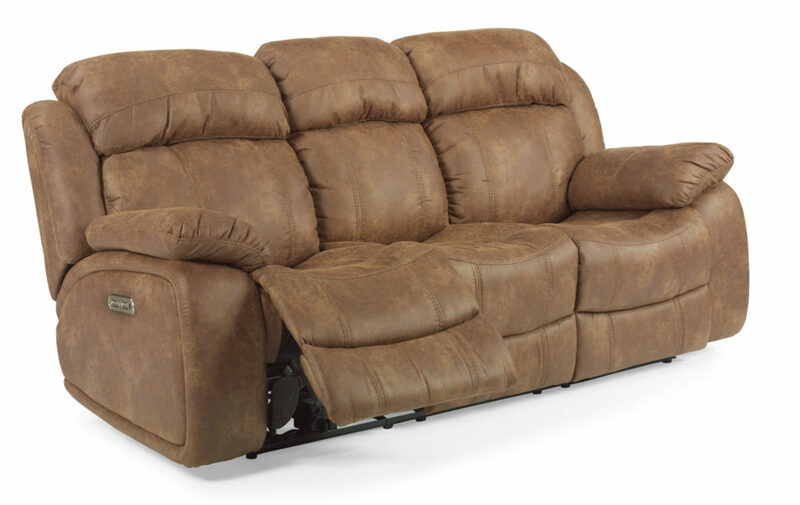 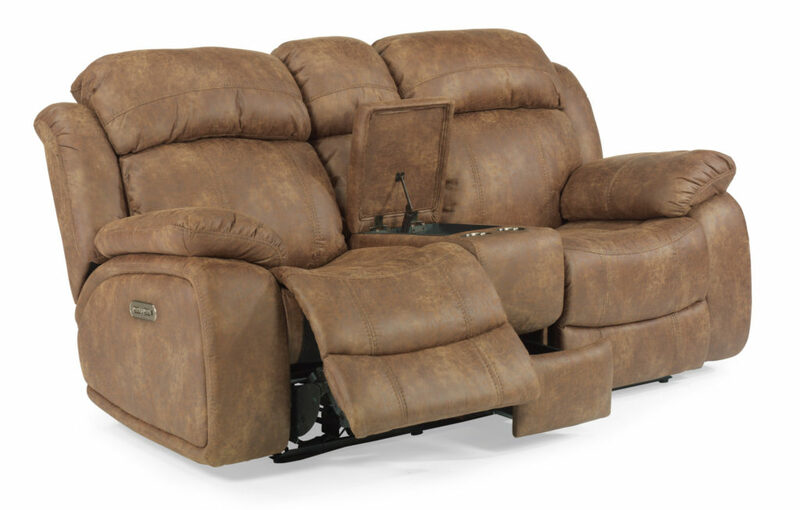 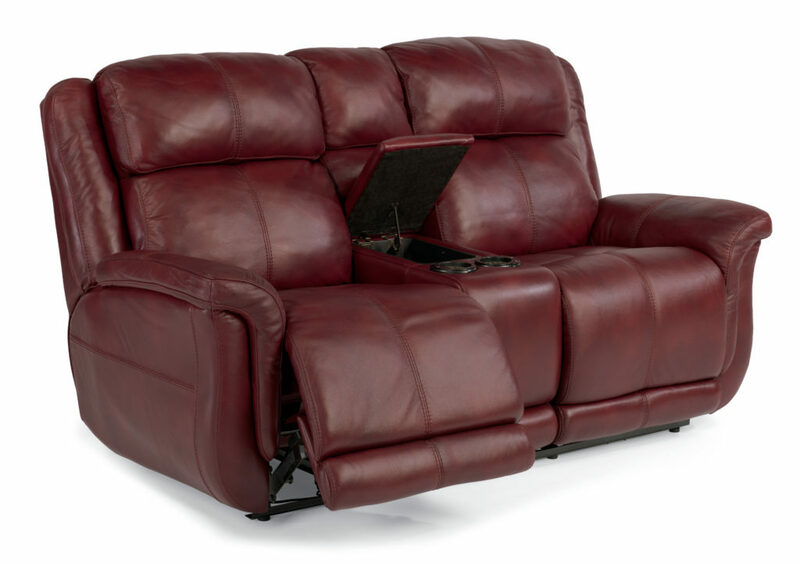 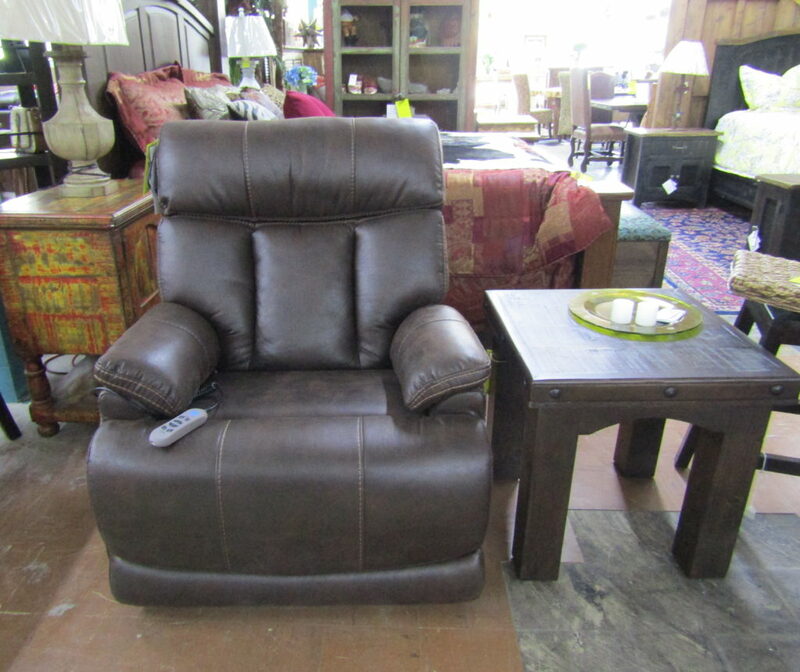 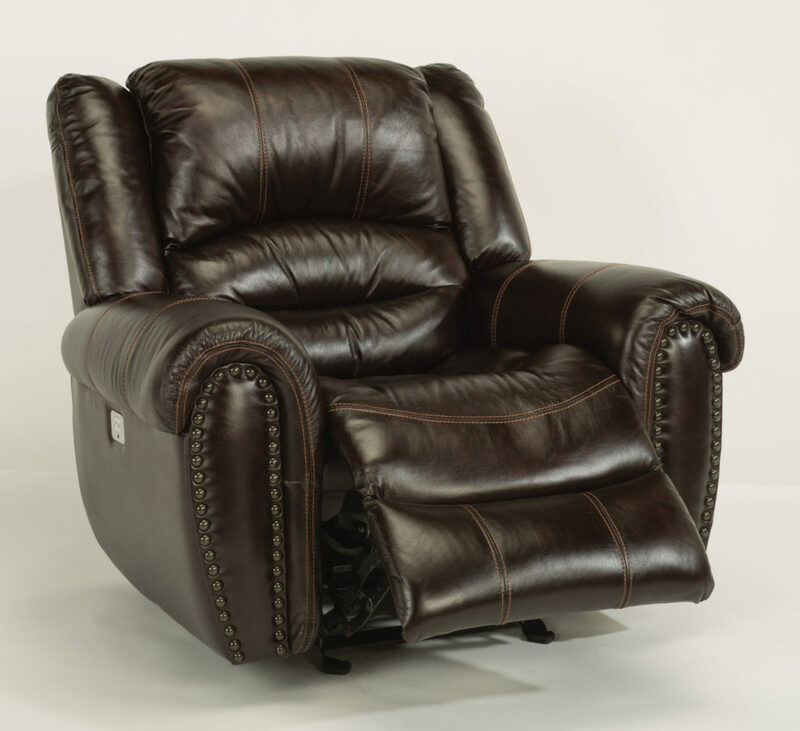 Power Flexsteel recliner with headrest and lumbar motion. 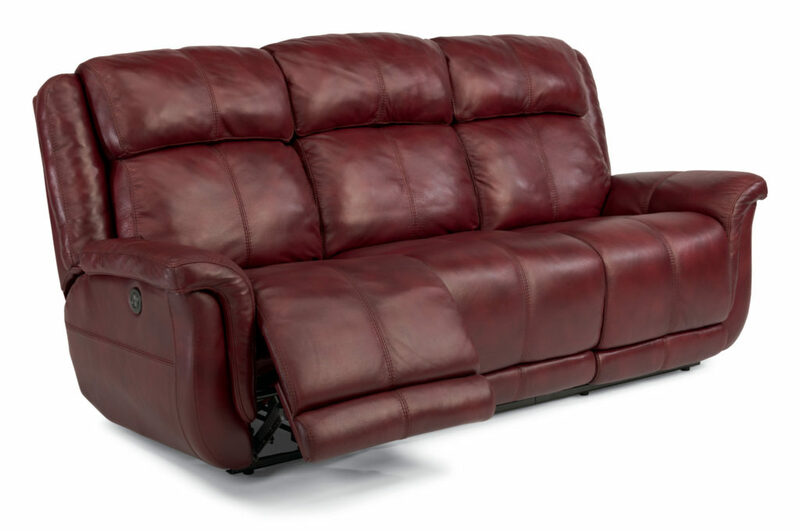 Around Town Crosstown Flexsteel sectional with power head. 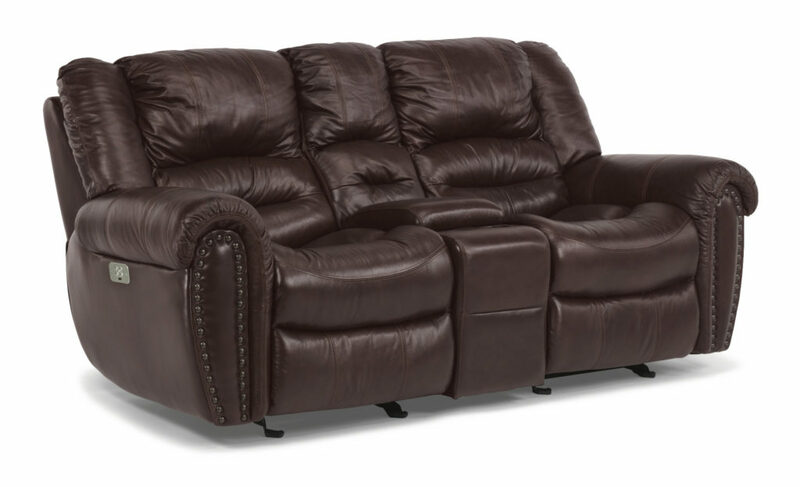 Brooking Power Loveseat with Console available no console.